Let’s face it, ponchos have come a long way since their vintage sisters made their way onto the style scene. 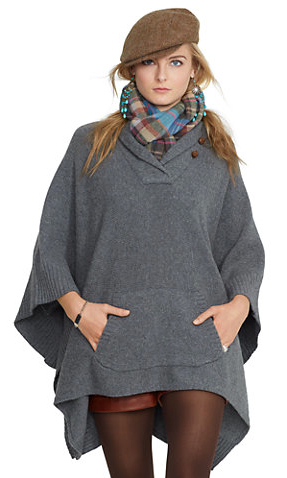 This Ralph Lauren Wool – keyword Cashmere – poncho looks so cozy and warm and perfect for fall. I’d pair it with knee boots and jeans or or a wool mini skirt. 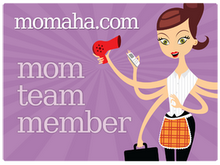 I’d totally wear it to the pumpkin patch with my kiddos or to run errands in high style. It’s such an easy piece, I could throw it on to get the mail or pick the kids up from school. And it comes in gray and olive – the first I have loved always and the second is my new favorite neutral. Like most things I love, it’d go almost anywhere!